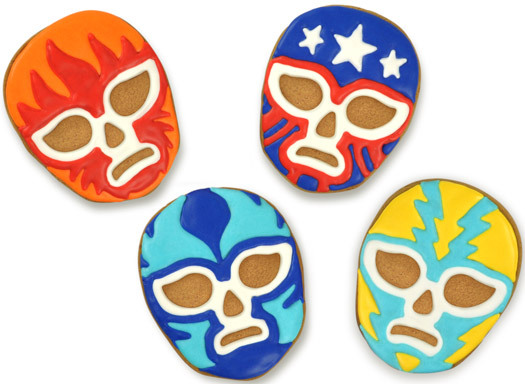 The Mexican Wrestler Cookie Cutters are a funny gift that will turn the act of making cookies into an even more enjoyable experience than eating them! 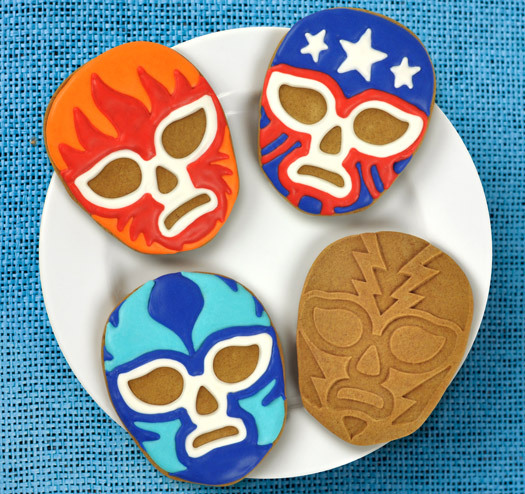 These cookie cutters are shaped like the heads of wrestlers. 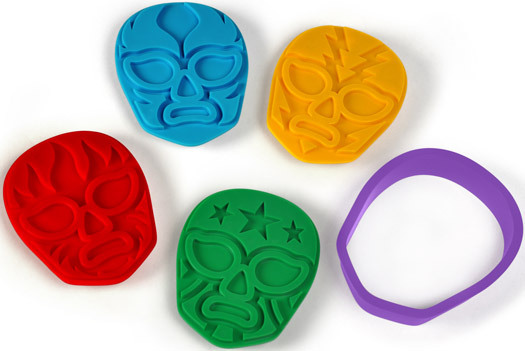 Each of the funny cookie cutters has a unique personality as conveyed through the varying designs on their masks. One mask has flames, another has a lightening strike on it. 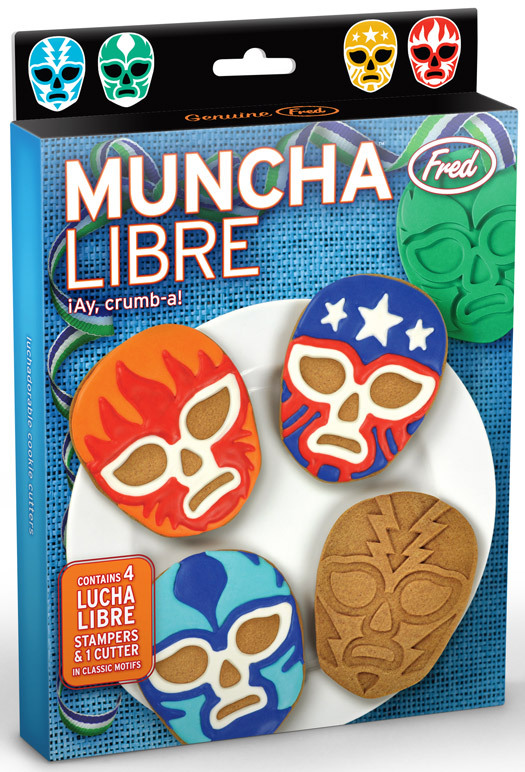 Wings and stars make up the mask design of the other two. 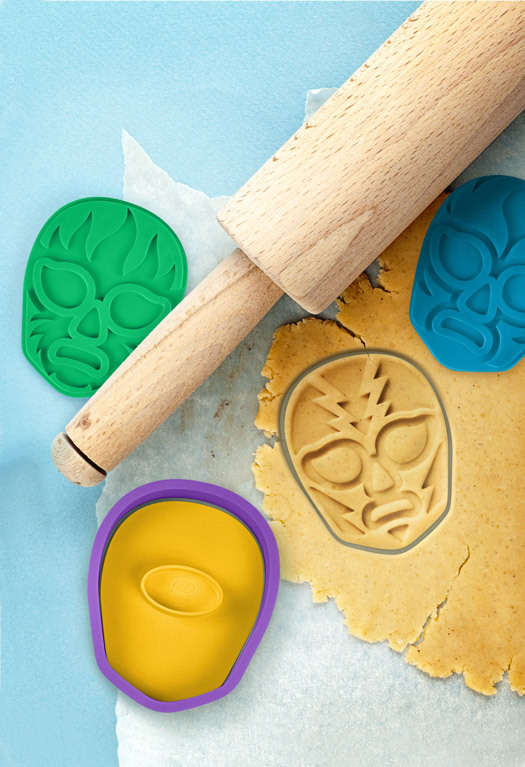 Four cookie stamps in all are included in this cookie cutter set.